As the largest triathlon community in Australia, Tri-Alliance is based in Melbourne and currently trains over 200 triathletes weekly under the guidance of eight qualified and experienced coaches. 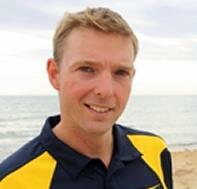 Tri-Alliance offers triathlon coaching in Melbourne and also supplies programs for athletes based all over Australia. As part of the Tri-Alliance family, you’ll receive professional triathlon-specific coaching to improve your fitness and performance, train with like-minded athletes, all whilst enjoying the social side of training. With valued partners and supporters, a large network and state of the art equipment and facilities you will not find better value anywhere else. Success. Coach Ollie Allan has been notified of your message.